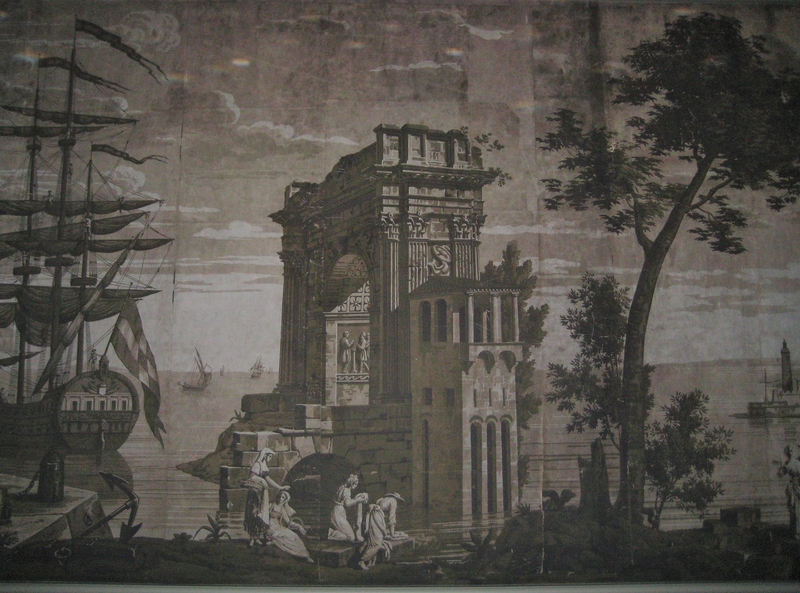 This is a digital reproduction of “The Bay of Naples” by Dufour. 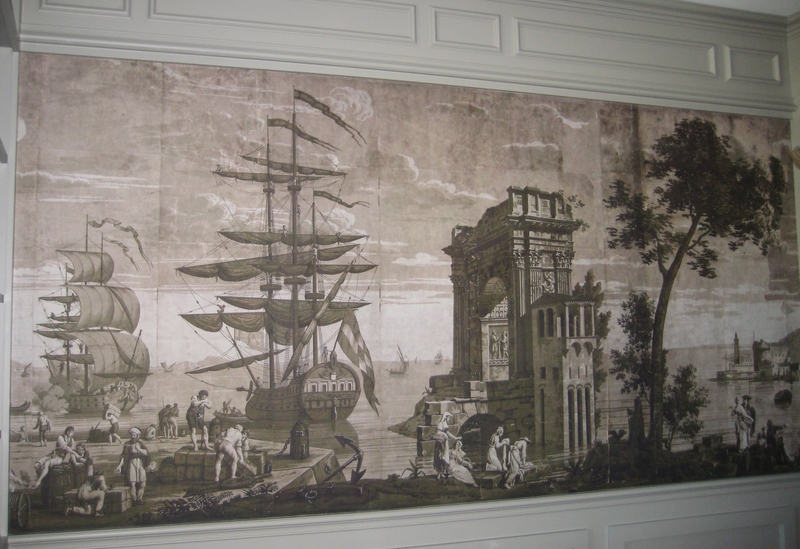 The large painted mural exists in an historic home in New England. 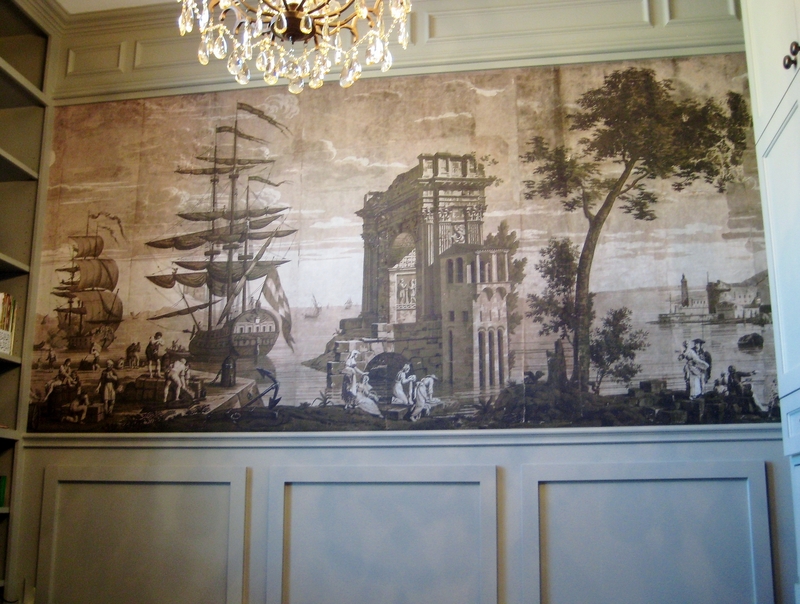 Artist Holly Alderman traveled there specifically to photograph it. 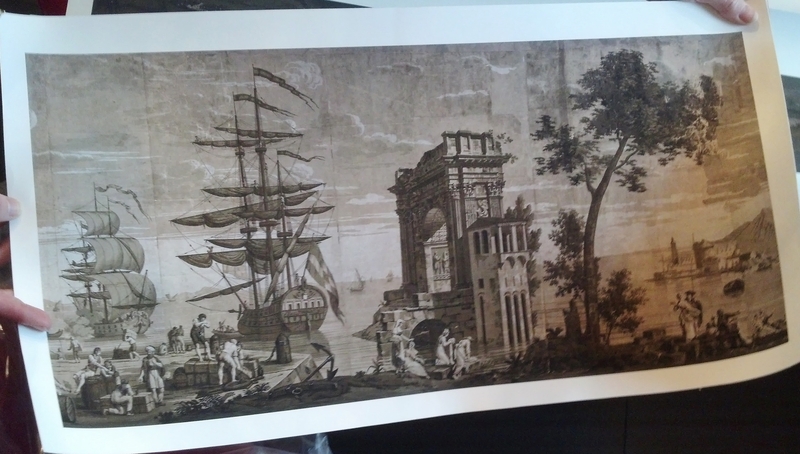 She then digitally reproduced it in grisaille. 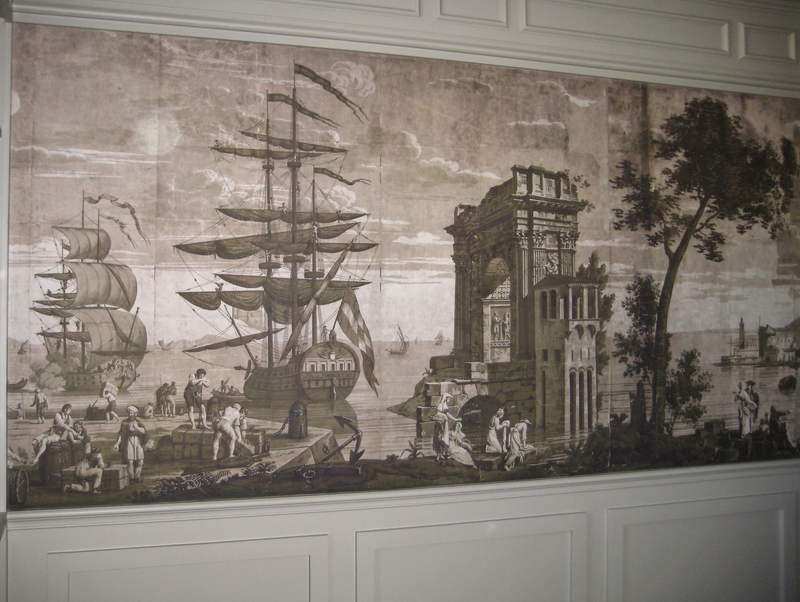 Wallquest manufactured the large (untrimmed) custom panels which I installed in a home office. 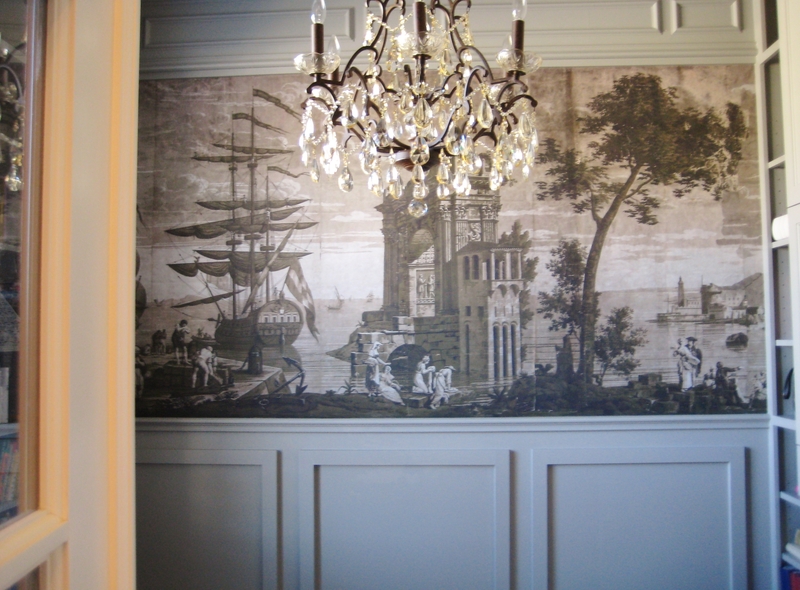 The paint my client chose, gorgeously enhances the grisaille print and the chandelier is icing on the cake. 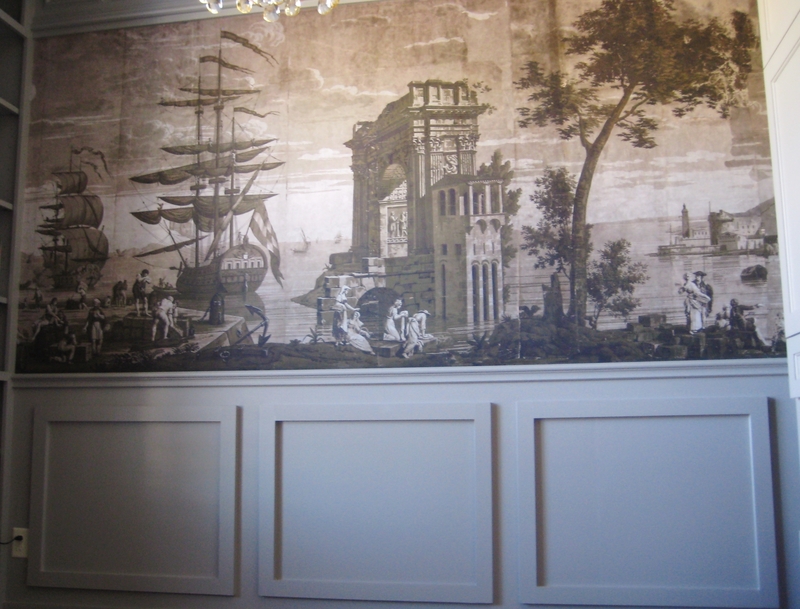 I am hoping to get photos of the room from my client, once it is all put back together and if so, I will post them here! 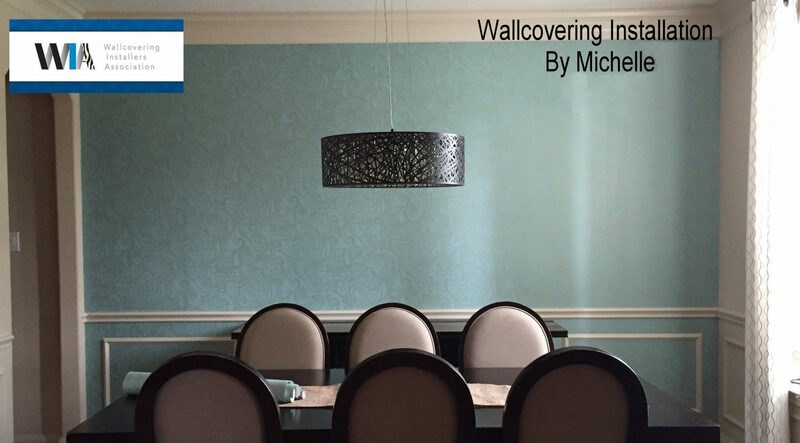 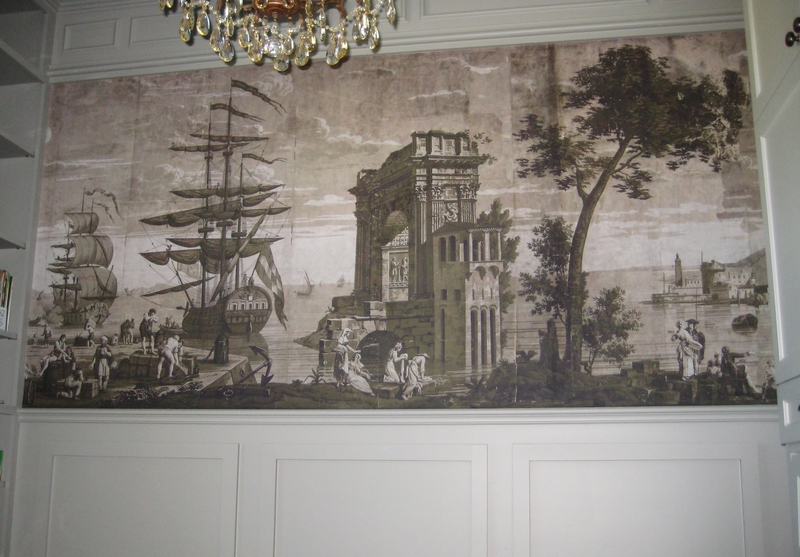 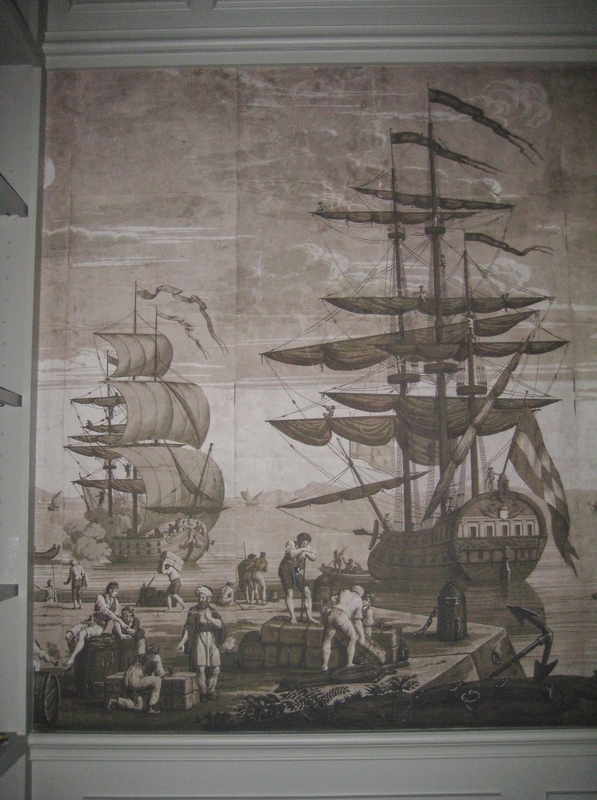 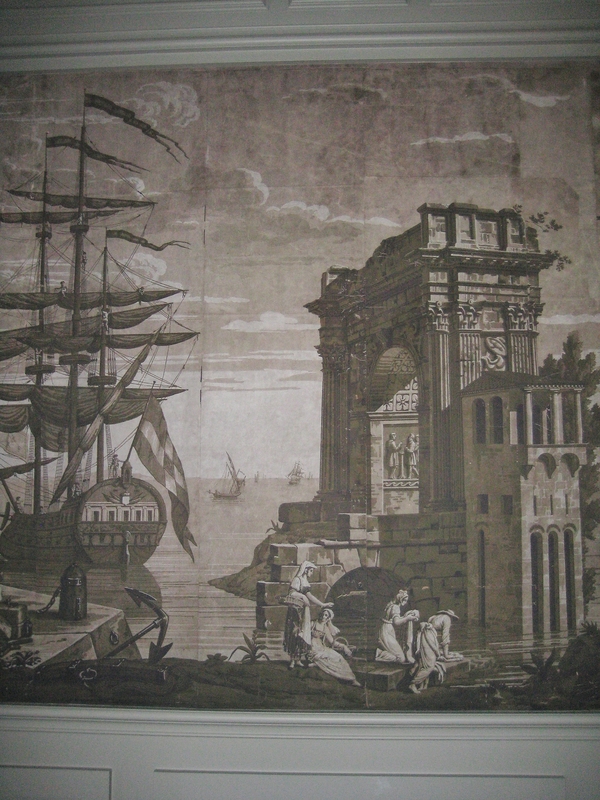 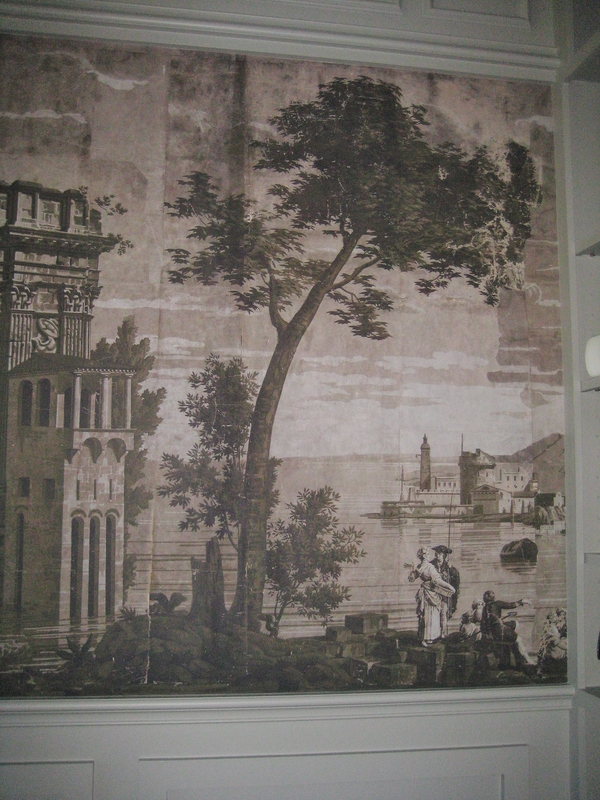 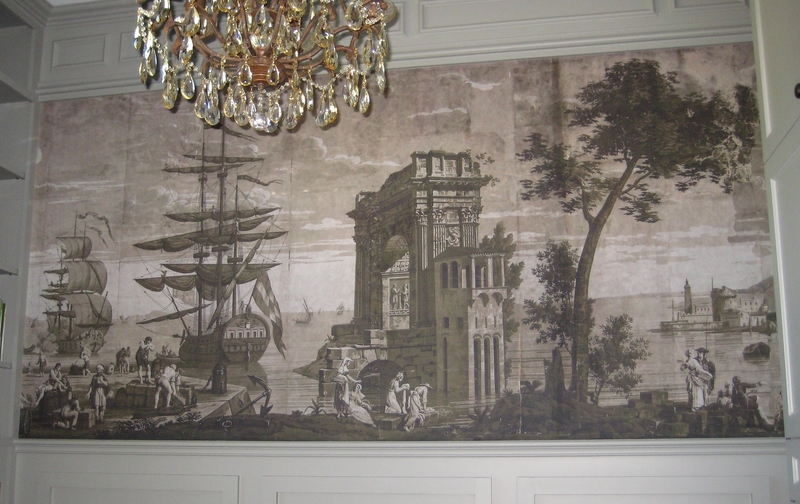 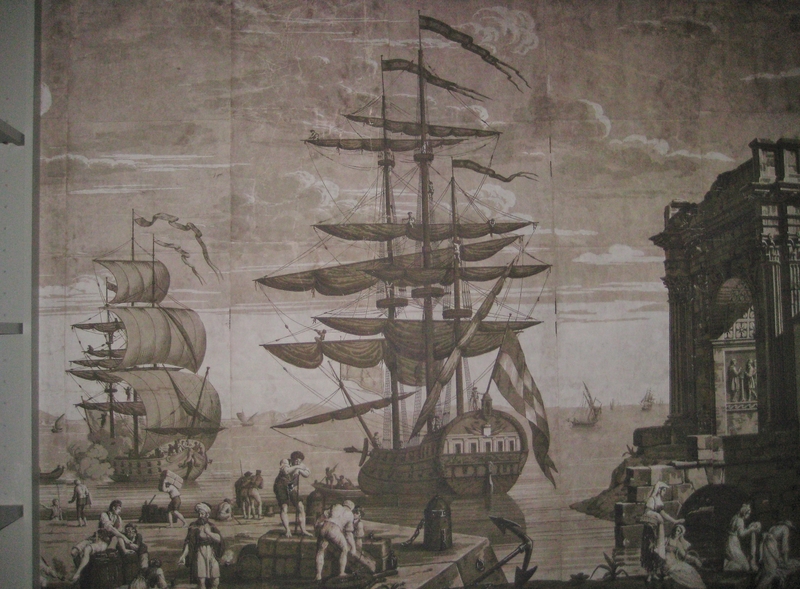 This entry was posted in Murals, Photography, Wallpapering Jobs and tagged art reproduction, Bay of Naples by Dufour, digital mural, digital wallcovering, Gisaille, Holly Alderman, scenic mural, Wallcovering Installation by Michelle, wallcovering mural, Wallquest on January 31, 2015 by Paperhanger.